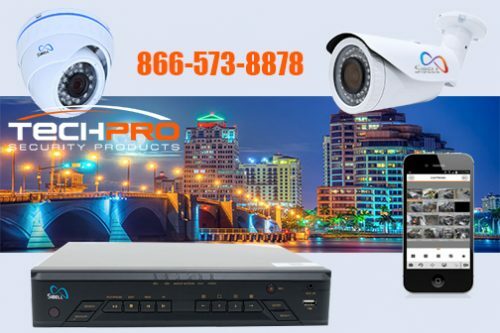 TechPro Security Products, a leader in business and commercial security cameras in the Palm Beach County area for retail security cameras, access control, and alarm systems. Security camera systems and video surveillance solutions for businesses of all sizes. We also offer residential home security surveillance solutions that are affordable while still offering the same levels of security as our larger commercial projects. TechPro Security Products help with protecting businesses and residential communities throughout Palm Beach County. Let us manage your security cameras, allowing you to work smarter and live better with heightened levels of protection. When you need security cameras west palm beach call a professional. TechPro Security Products uses industry leading surveillance solutions to safeguard your family or business against a myriad of threats. Our security experts will design and plan the perfect surveillance solutions that will provide protection to persons, businesses, and any desired locales. Our expertise at protecting any operation is based on our learning and understanding your business fully. We will work with you to identify threats internally and externally and design the perfect security solutions that will protect your business against losses of all types. Our security solutions are engineered to protect people and inventory while guarding against loss of inventory, profits, property, and even productivity. Our ability to provide security surveillance solutions at an affordable price for all varieties of business models and sizes. From small local retail solutions all the way up through regional and national levels, TechPro Security Products is your reliable US-based security surveillance solution. Let us help you detect and learn better methods for overall protection of your business. 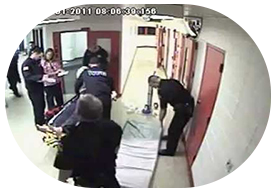 We offer support throughout the lifetime of your security surveillance products. You are lucky to find security surveillance companies that will support after 30 days of taking your products out of the box. Good luck finding security surveillance companies that are based in the US. Our support experts have a complete understanding of all of our products and can walk you through many scenarios. If something gets overly complicated they can just login remotely and fix the problem with you. Our support staff is comprised of the best security experts with the majority of them being installation experts who have worked in the field. Gathering intelligence about your business will increase your organization’s productivity substantially. Managing your facilities security cameras and surveillance products is seamless from client software to remote viewing apps. TechPro Security Products is constantly designing and developing security surveillance products to stay ahead of the latest trends. Being informed about the latest security surveillance protocols helps us deliver the ultimate knowledge base and products to our customers. TechPro Security Products offers amazing software and apps that allow you to easily manage your security systems and video surveillance. The ability to control your security surveillance products from one interface or remotely via apps is powerful and effective allowing for total control 365. Put security surveillance cameras, alarm systems, and access control wherever you require or desire. Call TechPro Security Products if you have any questions about security cameras West Palm Beach.